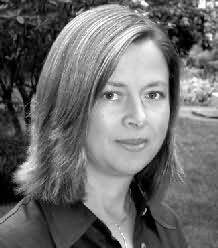 Caroline Adderson is a Canadian novelist and short story writer. Born in Edmonton, Alberta, she studied at the University of British Columbia, receiving a degree in education in 1982. Her first short story collection, Bad Imaginings (1993) was nominated for the Governor General's Award and won the Ethel Wilson Fiction Prize. Her second novel, Sitting Practice (2003), also won the award.